Dimmable using our outdoor rated Low Voltage dimmable LED drivers. See our accessories page for our dimming and non dimming outdoor rated LED power Supplies. 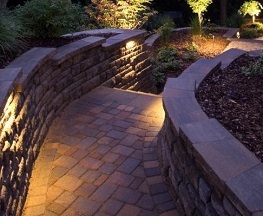 These Hardscape retaining Wall LED lights are stocked near Vancouver, in BC Canada. 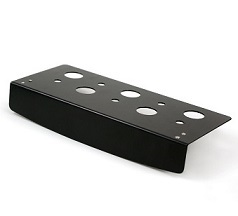 Introducing our newest Hardscape retaining wall LED light. This LED is perfect for pathway and courtesy lighting for retaining walls, and hardscape lighting features. Designed for a sleek clean look to add lighting for rock walls, this 2 Watt LED light will highlight the features of your stonework. 12 Volt, 2 Watts, outdoor use with a 4 foot outdoor wire lead.